open your eyes, here they come! 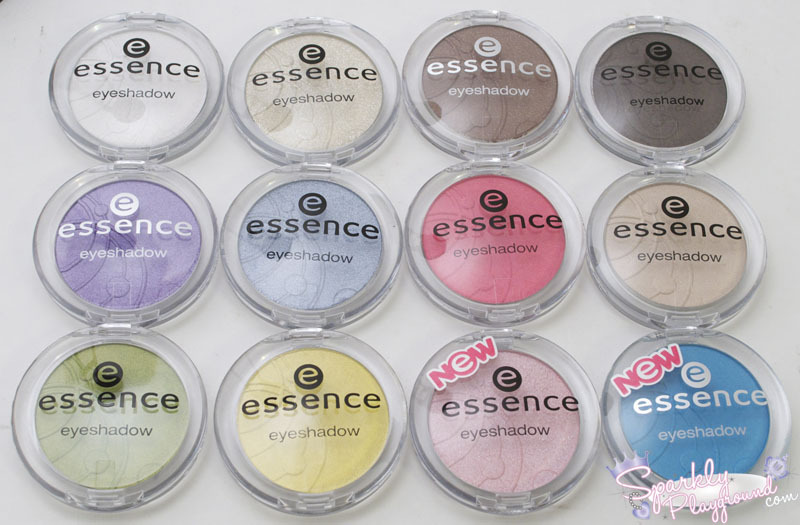 the new eyeshadow colors by essence. 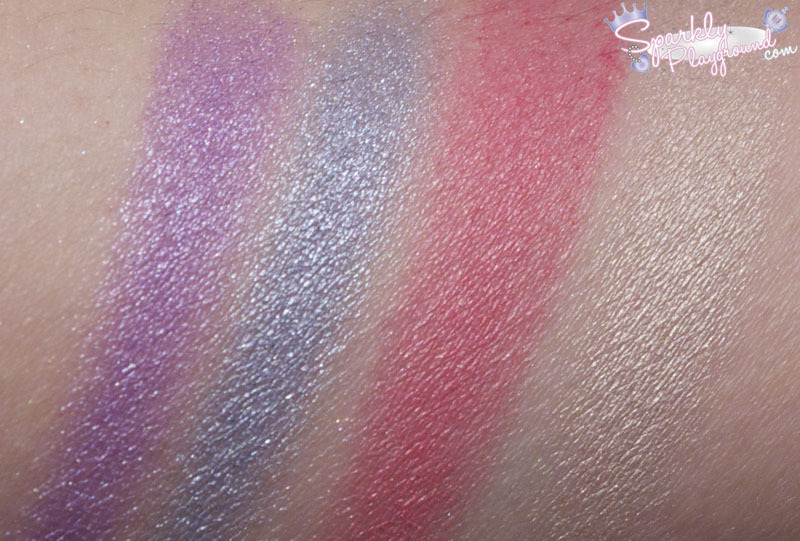 from light, sunny shades to bold blue and trendy purple to (nearly) black shades – the color palette is huge and is sure to give every eye make-up that extra special added touch. available in one new colors and a total of 18 colors. Apply with your fingers, sponge applicator or brush directly to your eye lids. $2.49 CAD each. They can be found in Shoppers Drug Mart or Pharmaprix across Canada. For packaging, I find that the dome shade lid makes it very hard for storage. I would prefer them to be flat instead so I can easily file them vertically or stack them up. I do enjoy the clear lid so I can see what colour it is. Of course, it's not luxuriously packaged but for a quick, inexpensive pick me up - it's just fine. 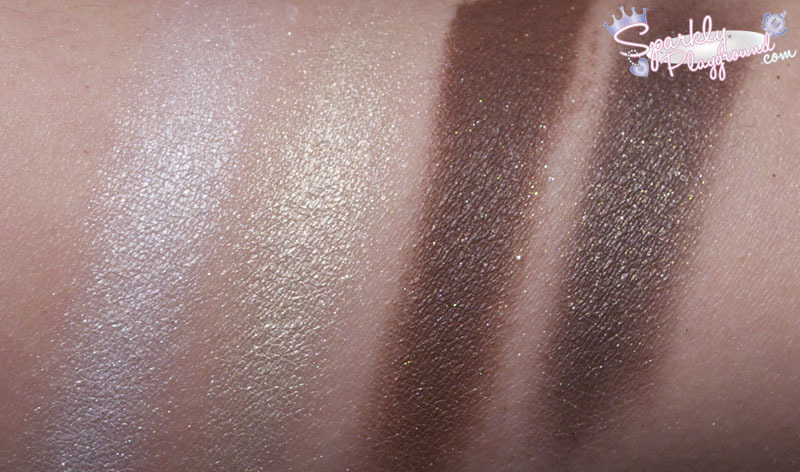 The texture is not a little harsh and not all the shades are pigmented. 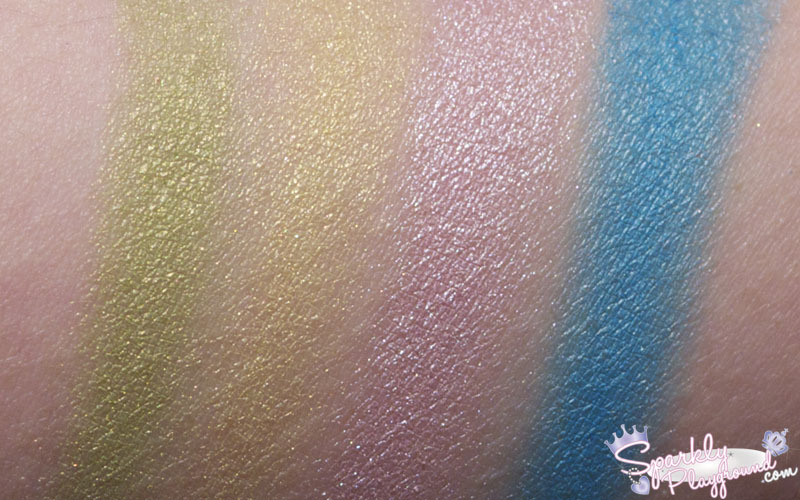 I would say that the pigmentation are different for most shades. Staying power is about about 4-6 hours if you don't touch your face. It lasts for full 6 hours with a primer.